It has color-changing lights, too. Febreze makes me sneeze. I’m also so allergic to Glade plug-ins. So, earlier this summer I boarded the essential oils train. My goal was to get my house to smell less like my pup and more like a spa. Naturally, I had to get a diffuser. Note: Since we posted this article, the $16 diffuser sold out! The $20 version is still available and has a nice wood finish. With more than 31,000 reviews (yes, you read that correctly), a 4.5-star rating and prices starting at $16, Amazon’s top-rated essential oil diffuser went straight into my shopping cart. Two days later, the URPOWER 2nd Version Essential Oil Diffuser was on my doorstep. The diffuser's assembly is so simple, you could do it in the dark — which is good since the instruction booklet can be hard to read. It's basically two pieces of plastic and a cord in a sleek, Japanese-inspired design. I got the $20 brown faux-wood model. It’s small enough you can mistake it for a coffee mug. URPOWER's product description compares it to the size of an iPhone 6. There are two settings for the diffusing part. Both are not only quiet; they're silent. The mist setting pushes out a spray of mist every 30 seconds. The product description claims that it lasts six hours if you fill the diffuser to the max water line. In my experience, it lasts closer to four hours. If I’m home all day, I leave it on this setting. The diffuser automatically shuts off when it’s empty. 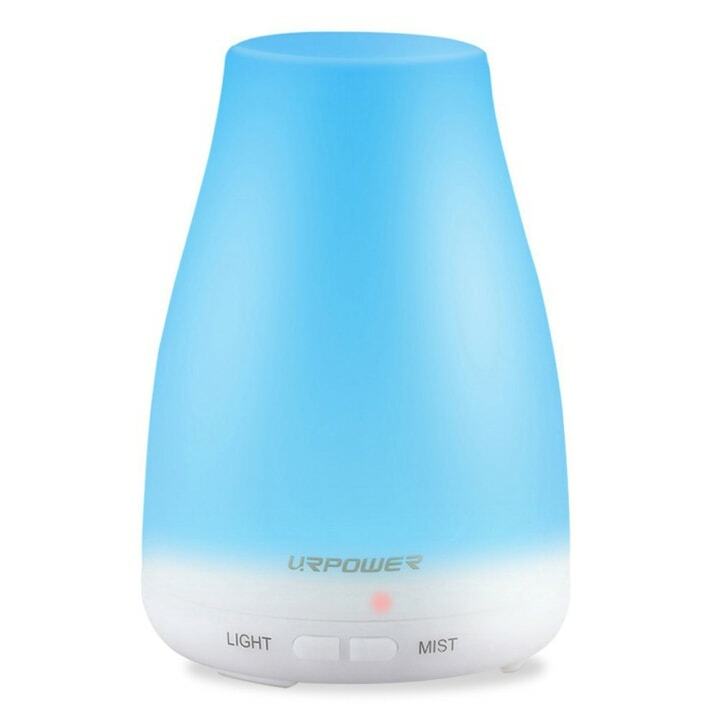 There’s also a continuous mist setting (lasting between two and three hours), which is what I use when I want to fill a room with the scent quickly. The LED light is controlled by the only other button on the unit, and it has seven different color options. The diffuser holds about one cup of water — I use tap water from my kitchen sink. And, every time I refill it, I just add a drop or two of 100-percent natural oils (which you have to buy separately). Almost instantly, I notice the aromatherapy effects. Since it's so small, I haven't noticed any humidifying effects, even right next to the couch where my diffuser is set up. So, I wouldn't recommend using it as a humidifier. With high-quality oils, this little machine works well. “If I had to choose between a fancy diffuser and what essential oils I would put in that diffuser, I would most definitely choose paying more for my essential oils and saving money on a diffuser,” wrote my friend Jessica Bellofatto when I emailed her asking for aromatherapy advice. Jessica, a Hamptons-based yoga teacher, is a Gold Team Leader at doTERRA oils. 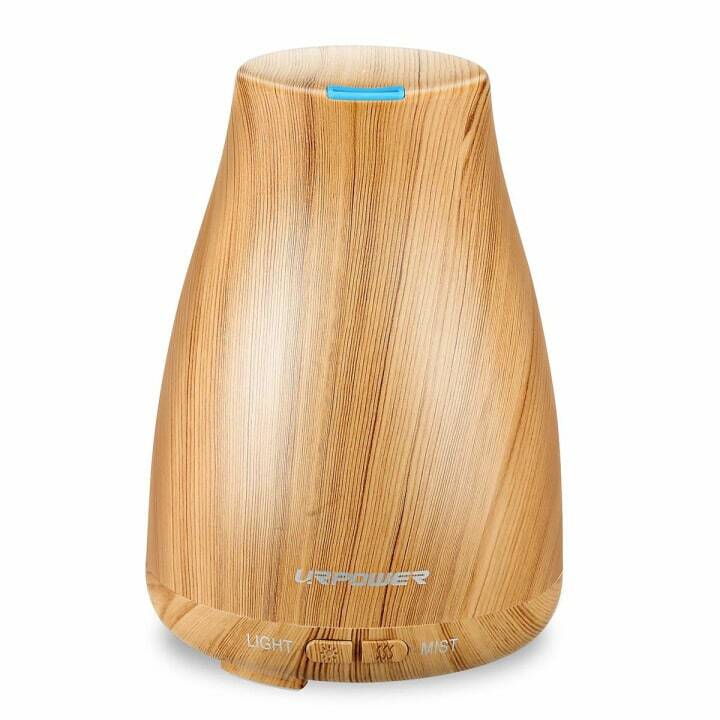 For the most part, I have peace of mind with this URPOWER diffuser. The only two drawbacks: I did try (and fail) to get in contact with customer service and I wish it were larger. It's perfect for small spaces like a bathroom, cubicle or kitchen. But to keep my entire downstairs living space smelling like lemongrass or lavender, I have to use two or three diffusers. If you prefer a more subtle scent, you'll probably be fine with just one. I might also consider more expensive options with larger reservoirs. The Asakuki diffuser on Amazon has a 500-milliliter tank and doTerra has plenty of large (albeit, expensive) options. 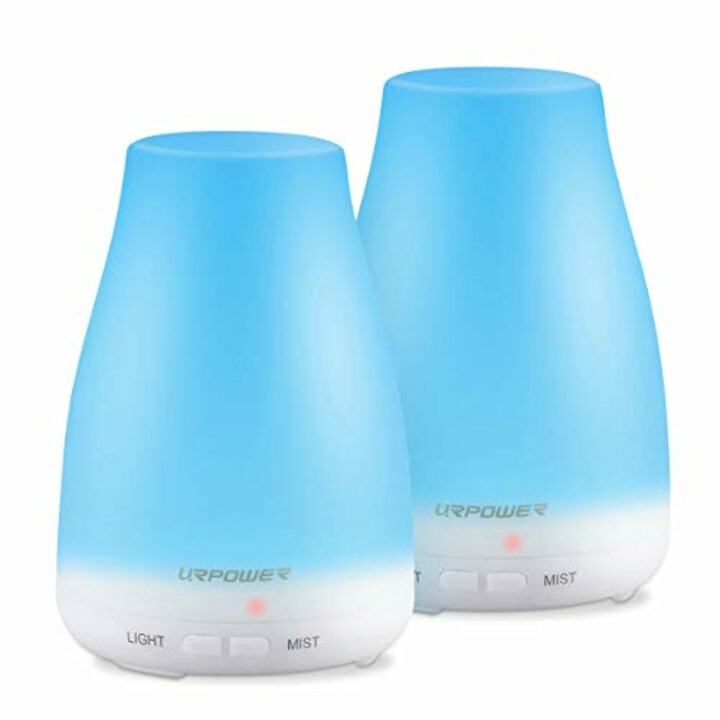 That said, I'd definitely buy 100 of these URPOWER diffusers before I ever plug in another Glade or pull the trigger on a bottle of Febreze. There is also a set of two URPOWEREssential diffusers for $30, making them only $15 each (yay deals)! What is a weighted blanket and do I need one?